Welcome my dear teacher to the Continuation of our Teacher Guide to Social Networking Series. If you haven't read the Part one of the series I would request you to have a look on it. I suppose up till now all have already seen the troubles caused by social media and the online world. While there are great benefits it's now more being used in unproductive actually a destructive manner. Ethical Hackers Club has previously posted many articles on Social Media and Cyber Bullying and we have been trying our best to provide solutions for the same. When we talk about Social Media how can we forget about privacy? Social media has always kept your privacy at risk. So Let's start on with the same. There are several ways you can limit who sees what you post but, although if you are really worried about something getting into the wrong hands, the best idea is to avoid posting it online on any social media. Event greater if you don't share it over email or any online storage, as once anything is online it can easily be copied and pasted intentionally or by mistake. But these are extreme cases, such as something that is embarrassing or something that could get you or someone else in trouble. Learning how to limit audience from posts you share online can help you out with the sensible amount of privacy. So before you start using any social media account you should learn about its privacy settings and terms. Almost all recognized social accounts have options to limit people who can see what you post. Some even allow you to control the audience for each post the best known among them is Facebook. Facebook allows users with options to allow post visible to friends, friends of friends and also it allows the customization of the audience to show it to specific people, group of people or to hide them from the same. although there are some people who make posts public knowing that anyone could see. What we recommend is that you learn about privacy before you post. Visit Ethical Hackers Club's Cyber Secure School Section to learn more about our programs for schools. 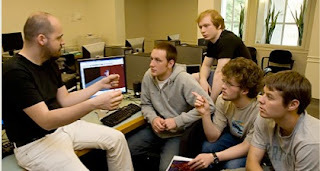 Socializing with students over social media surely isn't a great idea, but there are few teachers who use the platform to discuss classroom projects, resources for students but what we recommend teachers is that they could start a Facebook page or a group wherein students can access the discussions without having to be friends. Must Read: See How Hacked Teacher Got fired. You are an educator but you too have a personal life and your comforts like common people do. Be in your comfort zone while making social media decisions and do what you feel is good for you. 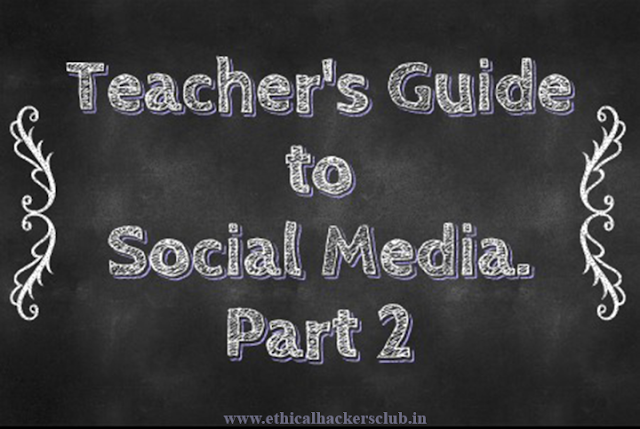 There's a lot more for Teachers to learn here so Stay Connected for our Teachers Guide to Social Media - Part 3.